For those who do not know yet, Geely is a Chinese company that in recent years has become the owner of brands such as Volvo and Lotus. This makes them share many things internally, something that has become clear now that the Geely FY11 comes to light. 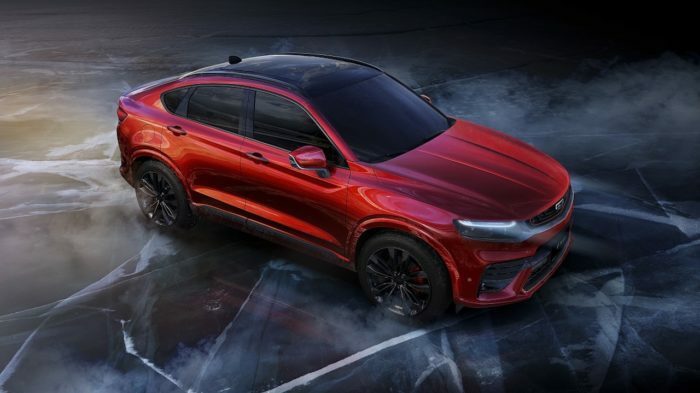 It is an SUV coupe that will be the first of the Chinese brand to settle on the CMA platform, exact, the same architecture used by the Volvo XC40. The Compact Modular Architecture (CMA) was developed jointly by the Chinese and Swedish brands, so both will continue to use it in their future models. It is a very flexible platform, so Geely has been able to play with the design of this FY11. They have given it a very striking appearance, with a front very marked by a narrow grille and a bumper with large air intakes; premieres a Geely logo in black to give a more sporting touch. On the side you can see that roof fall so peculiar that is what gets that SUV coupe image. It also highlights the width and lines marked in the rear, which may remind the BMW X4 in some of its nuances. It has a few narrow rear lights and the exits of the exhaust are housed in a diffuser painted the color of the body. Details of the interior of the vehicle are still not given, that will come in the coming months. What is said is that it will come out with a turbocharged gasoline mechanic with four cylinders and 2.0 liters. It has a power of 283 HP and 350 Nm of torque and can be chosen with both front and AWD. We know that the CMA platform is ready to receive hybrid and electric mechanics, so it is not ruled out that a future grows the range. Soon the rest of the details of this Geely FY11 will arrive.